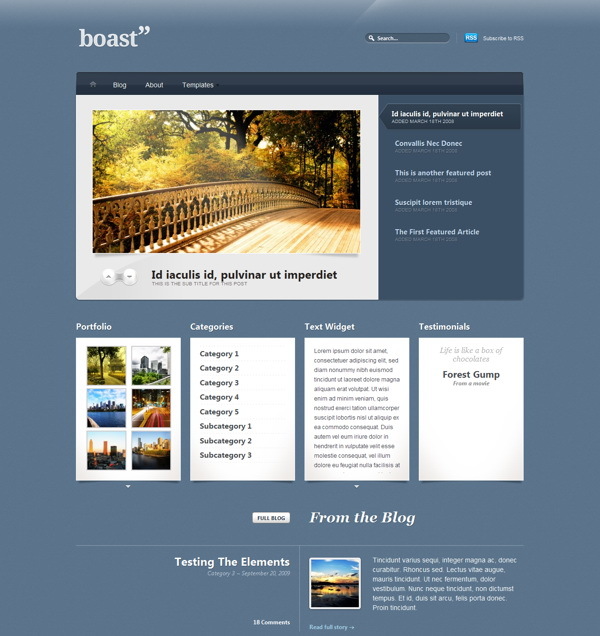 Boast is a modern business design with a lot of shine & gloss. The theme includes some nifty jQuery touches, which is especially present in the awesome slider on the homepage, as well as the scrolling widget boxes. This is a definite contender for your business makeover. The theme offers you a custom home page featured area to showcase your work or products, with optional sub-featured area to give them more insight. Secondary featured section (widgetized) which includes some nifty jQuery scrolling to display your most important messages without wasting any prime homepage real estate. Custom home page layout with an optional widget space (for testimonials, portfolio items or mini text / info blocks) and a section for your blog. Custom Woo Widgets for use in the blog or page sidebar and in the widgetized footer: Testimonials, Twitter, Gallery / Portfolio, Blog Information, Ads & Search. And last, but not least 10 delicious color schemes to choose from, and possible to change color of links and buttons in options panel. Making simple changes without editing code, like adding your own logo, changing to an alternate color style, adding Google Analytics code, couldn’t be easier with the back-end theme options panel. 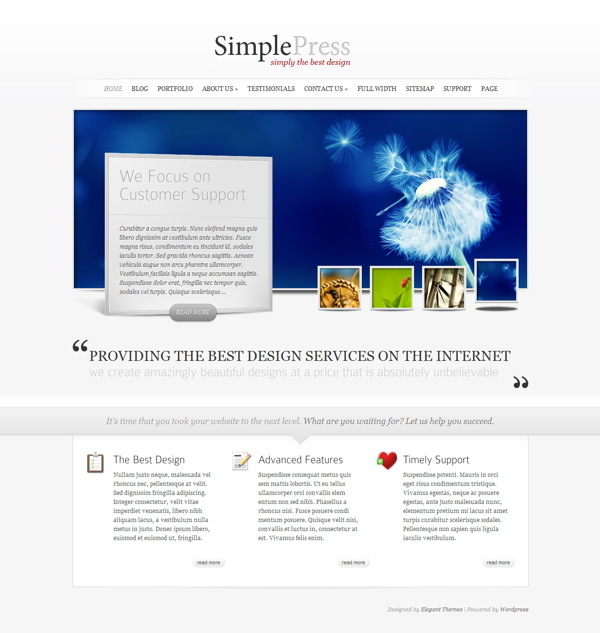 The theme is compatible with all the modern web browsers like Firefox, Safari, Chrome and Internet Explorer. There is an image resizer script built into the theme framework to automatically scales your post images for pixel perfect display in our templates. No need to upload new cropped images when re-designing your website. It comes packaged with a .po file for easy WordPress theme translations into your desired language – editing one neat little file without hunting down text in the theme templates.